Three Steps To A More Calm & Peaceful Mom Life! If you’re a busy mom, you’d probably love just to relax over the weekend. However, you probably spend Saturday and Sunday running your kids to random extra curricular activates, doing a thousand loads of laundry and standing in crazy long lines at the super market. Your weekends DON’T have to feel exhausting and overwhelming! Using just 3 simple and practical steps you can relax, release and restart your mind, body and soul, so you are ready to go Monday morning! 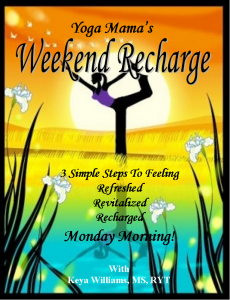 Learn (and follow along) with these 3 yoga-based steps in my Weekend Recharge Program! CLICK HERE TO GET THE WEEKEND RECHARGE PROGRAM! Now I gotta tell you. I’ve been practicing yoga for 15 years and teaching for 8 and I know just how powerful yoga can be in helping busy moms manage the stress of life. As a busy working mom of three crazy kids and a Yoga Lifestyle Consultant, I know just how chaotic and overwhelming life with kids can be. That’s why I dedicate my work as a Registered Yoga Teacher to educating moms like you on how to juggle it all without burning out. My students from around the world, both online and in person, know that I only offer the most practical and useful information that’s rooted in the 2000 year old science and philosophy of yoga. That’s why my students get quick wins whenever they put my suggestions into practice. WHAT DOES THE WEEKEND RECHARGE PROGRAM DO? RELAX mentally and physically so that you can focus on the pleasurable things around you, instead of running a constant loop of frustrations and worries in your head. DETOXIFY your mind, body and spirit so that you enter your new week WITHOUT the baggage of old resentments, frustrations and anxieties. That means you get to be free to enjoy your kids, spouse and all the other fun stuff you like to do on your days off! CLARIFY your intentions and desires so that you’re more present and experience more joy and satisfaction in your life. I credit a regular yoga practice that includes many of the techniques I’m going to show you in this Weekend Recharge Program, with helping me regain my own sanity not too long ago. You see I used to go to bed most nights feeling exhausted, overwhelmed and like I was dropping balls left and right. I focused so much on my job as mom, and not enough time on taking care of my other important relationships and myself. Because of this my marriage was “lack-luster” and that’s putting it lightly. I was burned out and ready for psychotherapy. Plus my home business wasn’t doing so well, with a stressed out CEO at the helm. But my yoga practice, consistently and lovingly done has helped my re-establish my sense of self and my mental health. Because of many of the practices I’m going to teach you in this Weekend Recharge Program, I now feel enthusiastic, joyful and passionate about being a mom, being a wife and just being ME again! And I want no less than the same for you! WHAT DO YOU WANT YOUR MOM LIFE TO BE LIKE? Do you wanna wake up Monday mornings actually feeling rested and excited to get out of the bed and tackle your to-do list? Would you like to feel confident knowing you have a tool you can use every weekend to help you feel amazingly refreshed every Monday to come? Then get your hands on my Weekend Recharge Program for yourself. Here’s what you’ll get in the program! This audio is specifically designed to help you decompress after a long week! 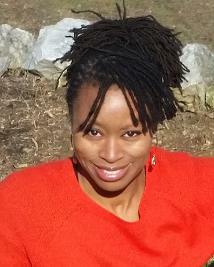 This class is designed to detoxify you from the inside out, so you are clear minded come Monday morning. 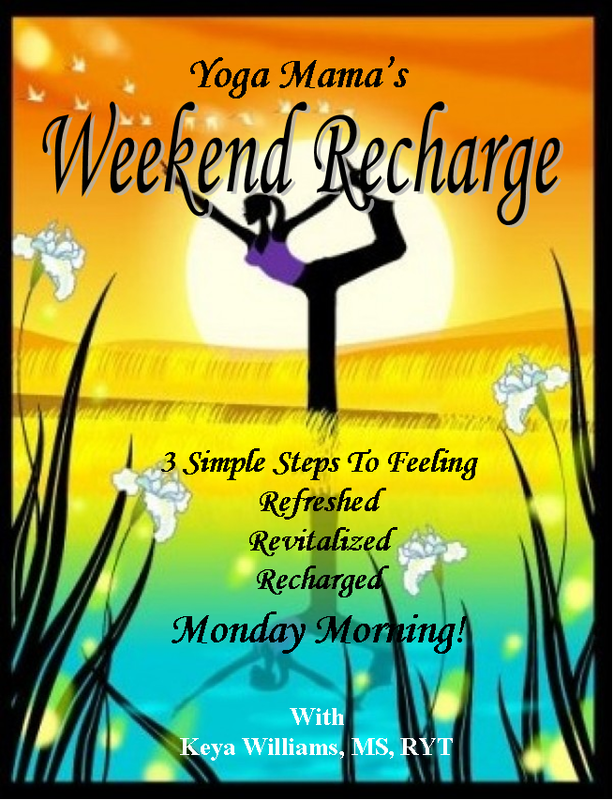 Your Weekend Recharge Program includes 2 separate yoga videos to meet your specific fitness level at the moment. Would rather do your push ups with your knees on the ground. You love to do push ups full out! This 10 minute meditation focuses on setting your intention and declaring how you’d like to show up in your life in the coming week. Remember what your focus on expands, and so this yoga practice encourages you to focus on what you want out of your mom life. You get all 3 steps of the program (a $50 value) for only $15 TODAY ONLY. Remember this special pricing is only good for TODAY on when you order from this webpage. That’s only $15 for the guided relaxation, TWO full yoga practices and the guided meditation! This offer won’t come around again so take advantage of it now! I GUARANTEE YOUR SATISFACTION OR YOUR MONEY BACK! Look I think my programs are great, but I totally get that not every yoga teacher or yoga practice is right for everybody! And my mission is for YOU to be satisfied and get the results you’re seeking. That’s why I offer you a 30 day money back guarantee. If you ask for a refund within 30 days of your purchase I’ll give you your money back, no questions asked! Needles to say, I’m passionate about the work I do with moms and there is nothing more important to me than that you feel joyful and refreshed at the end of your Weekend Recharge Program, so as a special bonus you’ll also get a free Weekend Recharge Workbook. And the support you need to get the MOST benefit out of this program. The 15 Minute Guided Relaxation Audio to start your Friday evening right! The 10 Minute Guided Meditation Audio to get you to declare and affirm how you want to feel in your new week! AND the Bonus Weekend Recharge PDF Workbook, to support you and hold you accountable to taking care of yourself each and every weekend! You no longer have to endure another week of stress and burn out? Now’s your time to make a positive change for yourself and your family. Remember: This half off special pricing ends TODAY! Click below to get your videos and audios now and start looking forward to Monday mornings.